The first out gay man elected to Pennsylvania’s state legislature is fighting not only for equality but common sense. Last June, Pennsylvania Governor Tom Wolf signed a historic equal pay executive order demanding employers base salaries on job responsibilities and clearly explain pay ranges on job postings, as well as prohibiting companies from requiring applicants to provide salary histories. The new law is a huge step in the state toward ending the gender wage gap that can disadvantage women when buying homes, paying for college, and caring for their families. 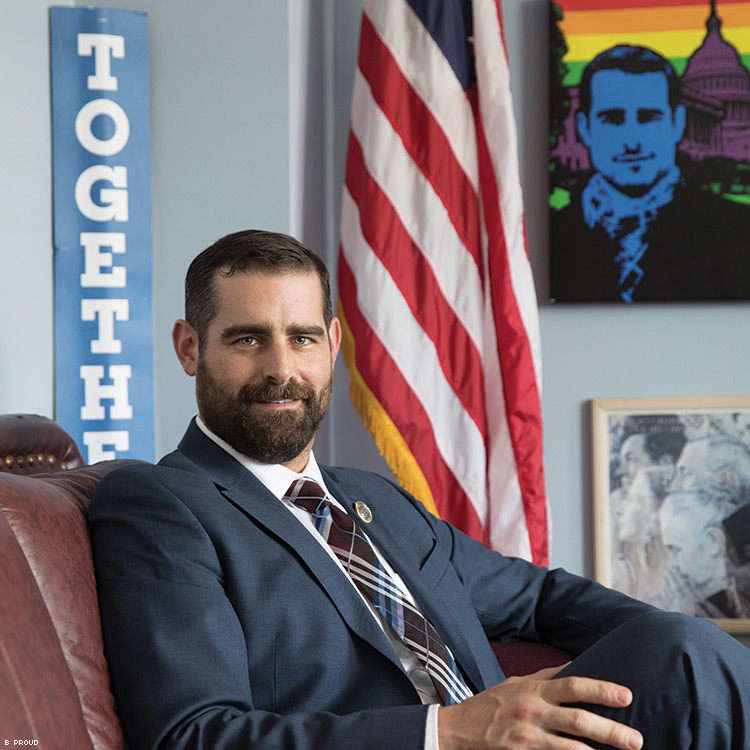 It was also an important moment for Democratic Rep. Brian Sims, a staunch pay-equality advocate and the first out gay legislator elected in Pennsylvania’s history. The executive order was based on legislation Sims had introduced. “Governor Wolf recognizes the impact pay inequity has on women and families across the commonwealth and through this executive order Pennsylvania takes a needed step towards rectifying this longstanding problem,” Sims said the day Wolf signed the order. Sims’s passion for social change led him to serve as president of Equality Pennsylvania as well as on the Victory Campaign Board, which helps the LGBTQ Victory Fund elect more out queer and trans people to public office. But it wasn’t until his friend, activist David Mixner, told Sims he’d make a bigger impact if he ran for office that Sims decided to enter politics. While one might see the recent wave of newly elected LGBT politicians, and slew of candidates of color, as a reaction to voter demand for more authenticity, Sims has a different perspective. When it comes to leading social change, Sims says we cannot forget the advocates in Middle America. In fact, they’re the ones who need our attention most. David Artavia is managing editor of The Advocate.